Vancouver Island Blacktail Deer are plentiful on Vancouver Island and the neighboring small Islands. They are found in the high alpine meadows down to the forest clear cuts and beaches. We also hunt these deer in local farmland pastures. This species of Blacktail deer have bodies ranging from 125 to 160 pounds, and usually carry a fairly compact, heavy tined rack. Many deer hunters consider the Blacktailed buck to be one of the toughest trophy deer to harvest. This is a Spot and Stalk hunt, using rifle, shotgun or archery. Our professional hunting guides always enjoy the challenge of stalking Big Blacktail bucks. 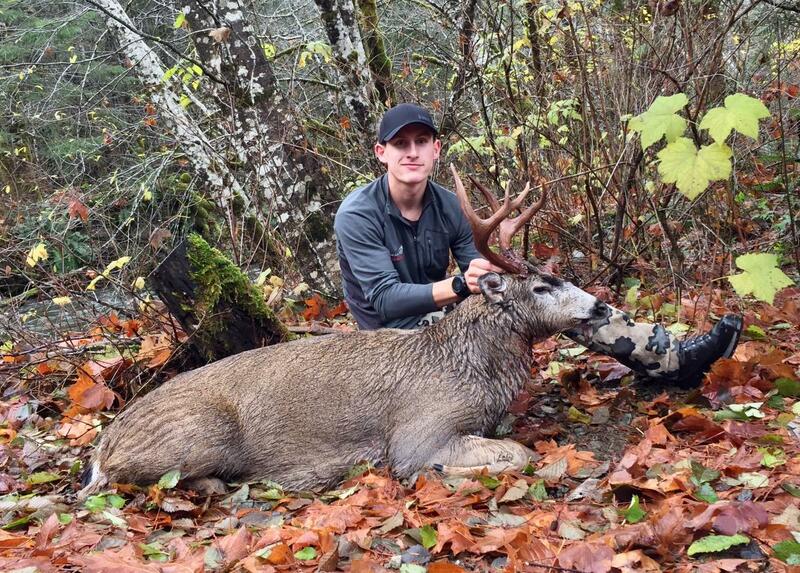 Blacktail deer hunting trips can also be added to any of your fall hunting packages.